Cover; blend on high speed until smooth. Every morning should begin with a little breakfast bliss. 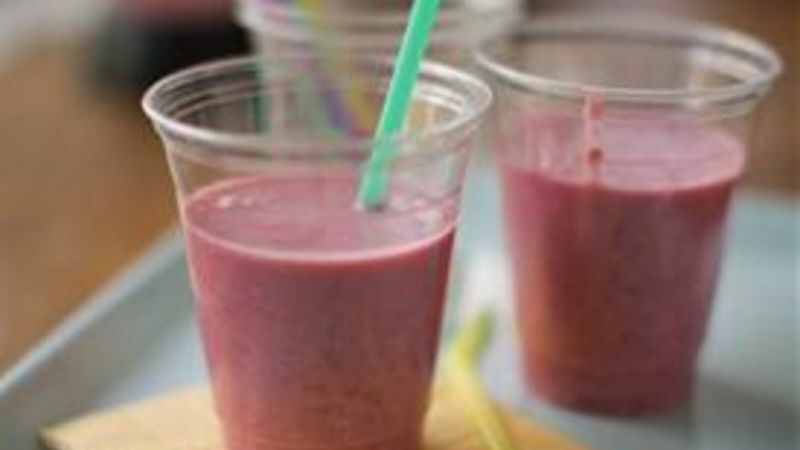 All you need is 5 minutes to whirl up this power smoothie. It’s filled with good ingredients like berries, banana, coconut milk and yogurt—and boosted with the addition of oatmeal. It’s a grab-n-go breakfast you’ll be happy to take with you. Gather the ingredients. You’ll need old-fashioned oats, a banana, frozen raspberries, vanilla yogurt, cold water, coconut milk and some vanilla. Simply add all of the ingredients to a blender container. Cover and blend on high speed until smooth. Here’s a tip: adding the oatmeal to the blender first helps it blend up smoother. Pour into glasses, insert straws and you’re ready to sip. We love the raspberry flavor, but you can also use frozen mango chunks or frozen peach slices in place of the raspberries. This just may be your new favorite way to eat oatmeal.